Aaaand it happened again! Viki Gomez is the winner of the BMX Flatland World Circuit 2016. Congratulations! It's his second victory in a row and like last year the decision is made before the final round. The best 3 results count for the final ranking and Viki already won the first 3 out of 5 rounds. 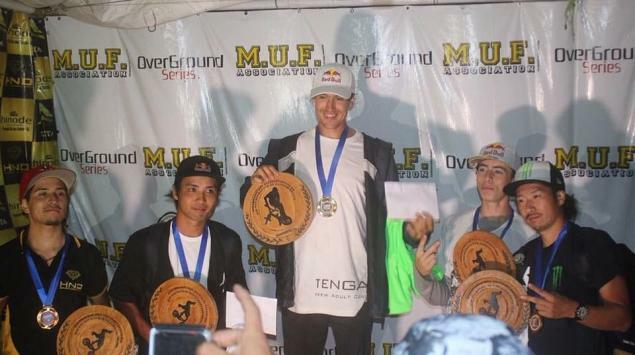 In Brazil Benjamin Hudson and Ucchie joined him on the podium of the Overground Round 3! The organizers didn't post the full results of all the classes yet but you can find podium photos on Facebook.